Increase security and reduce business risk with multiple layers of protection built into the operating system. Evolve your datacenter to save money and gain flexibility with software-defined datacenter technologies inspired by Microsoft Azure. Innovate faster with an application platform optimized for the applications you run today, as well as the cloud-native apps of tomorrow. Technical Preview 5 is our final preview prior to launch and is feature complete, so download it today and try out all the new features in Windows Server 2016. Deploy, manage and secure Windows Server 2016 with the upcoming release of System Center 2016. Datacenter: This edition continues to deliver significant value for organizations that need unlimited virtualization along with powerful new features including Shielded Virtual Machines, software-defined storage and software-defined networking. Standard: This edition is ideal for organizations that need limited virtualization but require a robust, general purpose server operating system. Essentials: This edition is designed for smaller organizations with less than 50 users. These editions will be available for purchase on the October 2016 price list. More details on editions and pricing for Windows Server 2016 can be found here. Server with Desktop Experience: The Server with Desktop Experience installation option (previously known as Server with a GUI) provides an ideal user experience for those who need to run an app that requires local UI or for Remote Desktop Services Host. This option has the full Windows client shell and experience, consistent with Windows 10 Anniversary edition Long Term Servicing Branch (LTSB), with the server Microsoft Management Console (MMC) and Server Manager tools available locally on the server. Nano Server: The Nano Server installation option provides an ideal lightweight operating system to run “cloud-native” applications based on containers and micro-services. It can also be used to run an agile and cost-effective datacenter with a dramatically smaller OS footprint. Because it is a headless installation of the server operating system, management is done remotely via Core PowerShell, the web-based Server Management Tools (SMT), or existing remote management tools such as MMC. 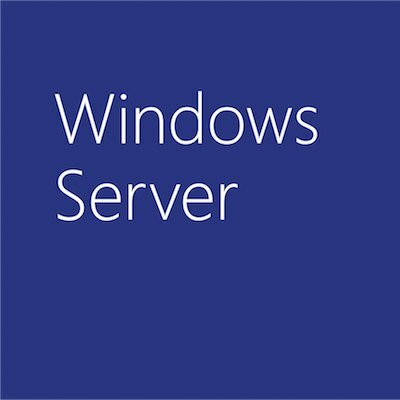 In prior releases, Windows Server has been serviced and supported with a “5+5” model meaning that there is 5 years of mainstream support and 5 years of extended support and this will continue with Windows Server 2016. Customers who choose to install full Windows Server 2016 with a desktop experience or Server Core will maintain this servicing experience, which will be known as the Long Term Servicing Branch (LTSB). Customers choosing the Nano Server installation will opt into a more active servicing model similar to the experience with Windows 10. Specifically, these periodic releases are known as Current Branch for Business (CBB) releases. This approach supports customers who are moving at a “cloud cadence” of rapid development lifecycles and wish to innovate more quickly. Since this type of servicing continues to provide new features and functionality, Software Assurance is also required to deploy and operate Nano Server in production. Our goal is to provide feature updates approximately two or three times per year for Nano Server. The model will be similar to the Windows client servicing model, but we expect it to have some differences. While we share the same goal of delivering new and valuable technology to our customers rapidly, we understand that a server operating environment has unique requirements. For example, while it will be necessary to stay current with new versions as they come out, the new versions will not auto-update a server. Instead, a manual installation will be performed by the admin when they choose. Because Nano Server will be updated on a more frequent basis, customers can be no more than two Nano Server CBB releases behind. Only two CBB releases will be serviced at any given time, therefore when the third Nano Server release comes out, you will need to move off of #1 as it will no longer be serviced. When #4 comes out, you will need to move off of #2, and so on. Windows Server 2016 meets businesses and organizations where they are today, and introduces the innovation needed for the transition to cloud computing when ready. This release puts the power of choice in the hands of our customers, making Windows Server 2016 the perfect stepping stone to the cloud. We hope you join us for the launch at Ignite, and as always, we look forward to your feedback and suggestions as we continue to innovate in Windows Server.